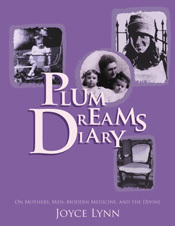 Plum Dreams Journal » Blog Archive » Why Plum Dreams? nightly narratives imparting wisdom and inner strength; enhancing our creativity, talents, and abilities; leading to humanitarian and visionary acts. Join with journalists, artists, activists, spiritual seekers, and people of good will everywhere, evoking dreams as the trim-tab resource for a healthier, more prosperous, and peaceful world. This entry was posted on Tuesday, November 11th, 2008 at 8:37 am	and is filed under DREAM ON!. You can follow any responses to this entry through the RSS 2.0 feed. Both comments and pings are currently closed.